(1) Because the bully can get away with it, and (2) because the bully lacks people skills. 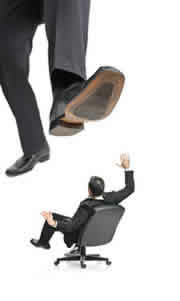 People can get away with bullying because they have power or because the organizational culture condones verbal abuse. Bosses are more likely to get away with bullying than employees. Although there are employees that are abusive with other employees or with clients, it’s unlikely they can do it for any extended time. They lack the power to bully and get away with it. In addition to power, the organizational culture in certain settings will influence how much verbal abuse people will endure. In certain work settings, bantering and lighthearted joking and teasing will be commonplace. In such settings, bullying may be tolerated by people in power. Managers may see it as just part of the organizational culture. Workers may feel they will be seen as oversensitive, if they complain about the abuse. When the organizational culture does not condone verbal abuse, multiple avenues for reporting the workplace bully will exist, and employees will feel confident to use them. They will feel that they deserve to be treated with professionalism and respect. When they aren’t, they will complaint to higher ups or the Human Resources department. If a person has the people skills to assert him/herself in a direct and caring way, he/she won’t be abusive. Many times, bully types haven’t learned to be assertive, they confuse bullying and aggressive communication with strength. In reality, they lack the strength to be direct and yet caring for the needs of other people they work with. Recap: The two main reasons for verbal abuse in the workplace are ability to get away with bullying and lack of people skills. Once you identify the reasons for the abuse, you can stop it. Your asking the question “Why do people bully?” brought you to this page. At this point you may want to read more about why people bully, or you may want to read about ideas on dealing with the workplace bully.